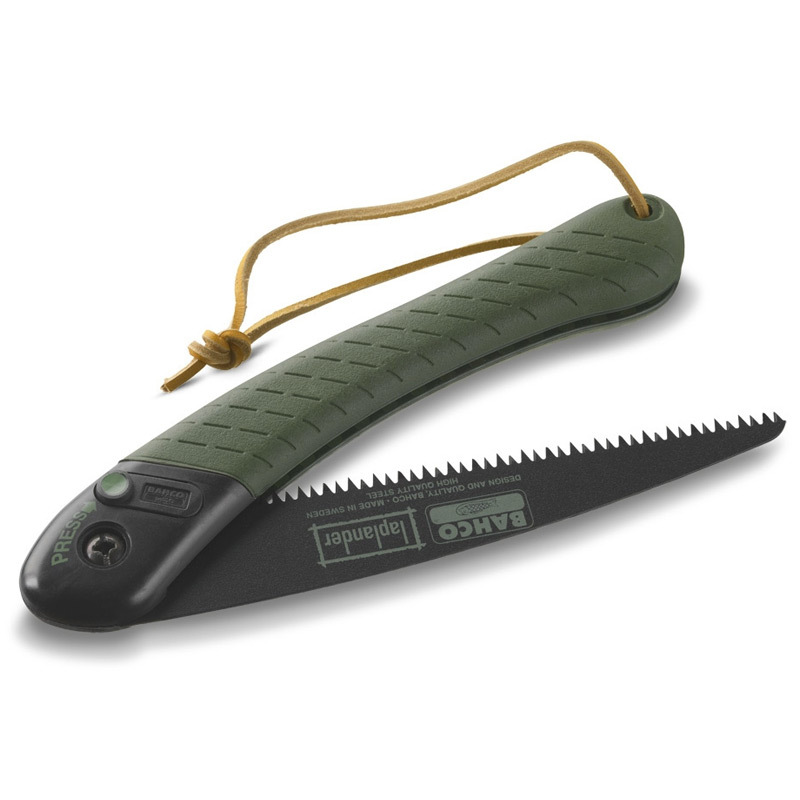 Made by Bahco in Sweden the Laplander saw is specifically designed for the outdoors enthusiast. It is only 9 inches long in the folded position and weighs just 6 ounces. The saw is small enough to fit into any rucksack. The blade is made from high-quality Sandvik steel and the Non-stick coating helps the blade glide thorough even the most difficult materials. 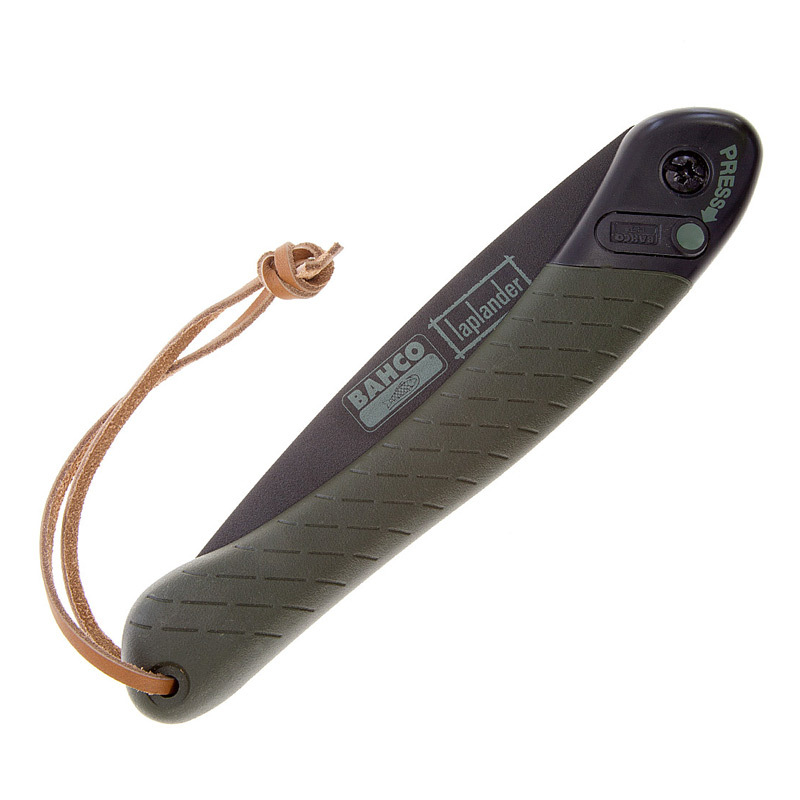 The Bahco XT toothing cuts in both directions and the blade locks safely in both the open and closed positions. 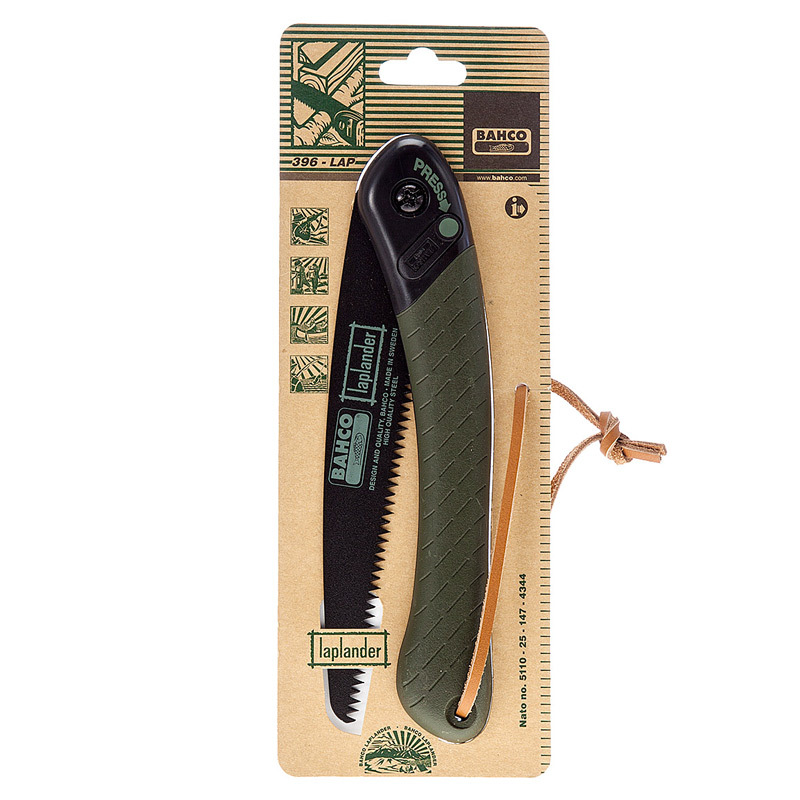 The Bahco Laplander saw is a high-quality folding pruning saw suitable for bushcraft, gardening, and conservation work, camping and fishing. Replacement blades are available for these saws and we stock them!
" 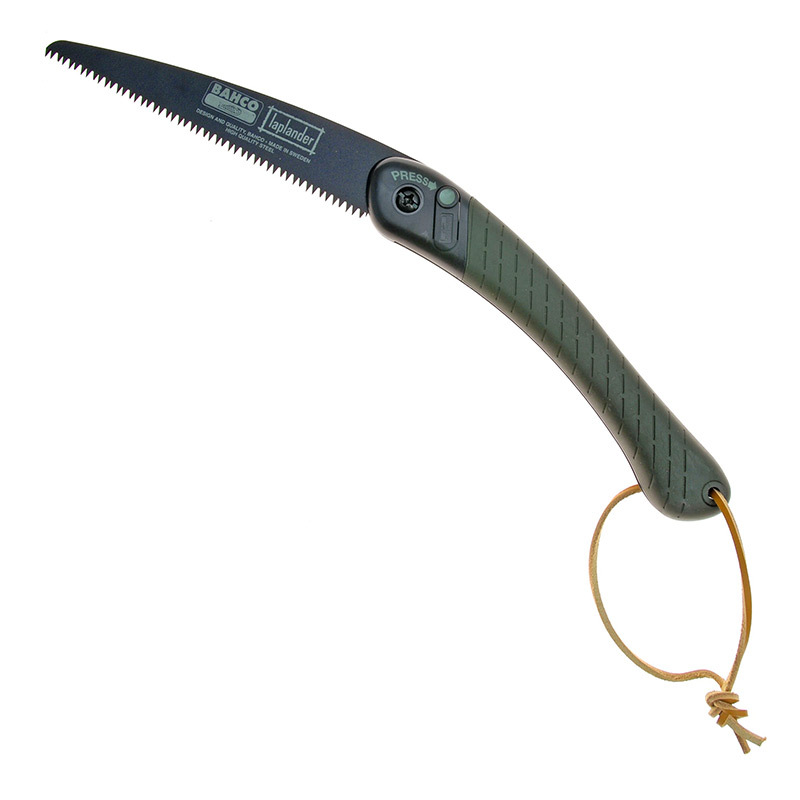 We use this saw on courses as it cuts the amount of effort you need to put into each stroke of the saw by 50%, we also like the lightweight, folding functionality of this saw, perfect for slipping into a rucksack and heading off into the woods." Advantages: The blade is made of high quality steel and designed to cut in both directions so makes sawing quick and effortless. From a safety point of view the blade has a locking mechanism to lock the blade in both the open and closed positions. Disadvantages: As they are green in colour they can be difficult to see if you put them down on the woodland floor! It is illegal to supply a knife or other edged item to anyone under the age of 18. Woodland Ways actively checks the details of all orders for knives, and other edged items.Should we be unable to confirm your eligibility, you will be asked to provide proof of age in the form of a photocopy of your drivers licence or passport. These saws are great - lightweight, strong and durable, cut excellently and a very good price for what you get. I think they tend to be a bushcraft standard and can see why, I can't fault them really. Delivered on time and contents of the packaging are exactly what I ordered - couldn't ask for more! !